Unfortunately the number of water racing games that exist is not very high, although lovers of the same from time to time are satisfied with the release of titles such as Hydro Thunder Hurricane para Windows 8. 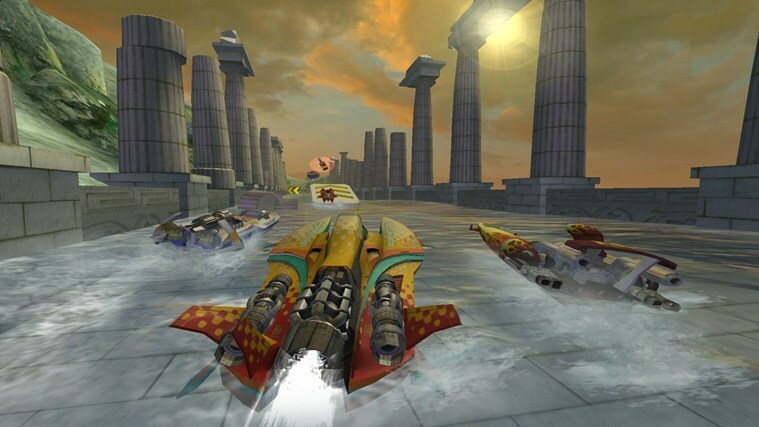 In terms of fun this arcade game touches the ceiling in the same way that Wave Race 64 did at the time, although jet skis have been replaced by futuristic boats that move through water scenarios with great ease. The design of the circuits is spectacular, being all of them full of details and, as it is necessary, of obstacles that have to be overcome if you don't want to cross the finish line in the last position. 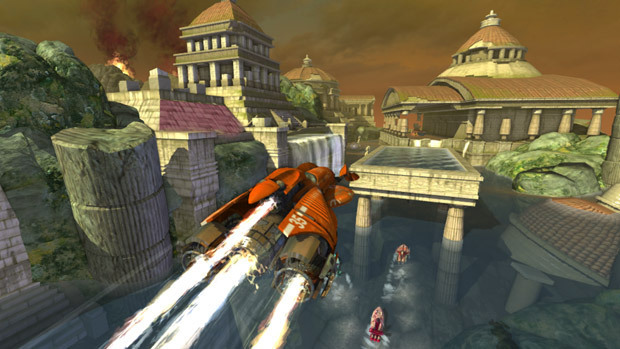 The most striking scenes of all that you will live in Hydro Thunder Hurricane para Windows 8 are, without a doubt, the jumps by ramps, waterfalls and other unevennesses. Although they can take time away from you if you don't do them correctly, the lost seconds are recoverable taking advantage of the shortcuts of each scenario and knocking down certain structures. Along the circuits you will also be able to take part in very entertaining challenges regardless of the mode selected, all of which allow the use of turbochargers. As you win races you will have at your disposal a greater number of boats that you will be unlocking.